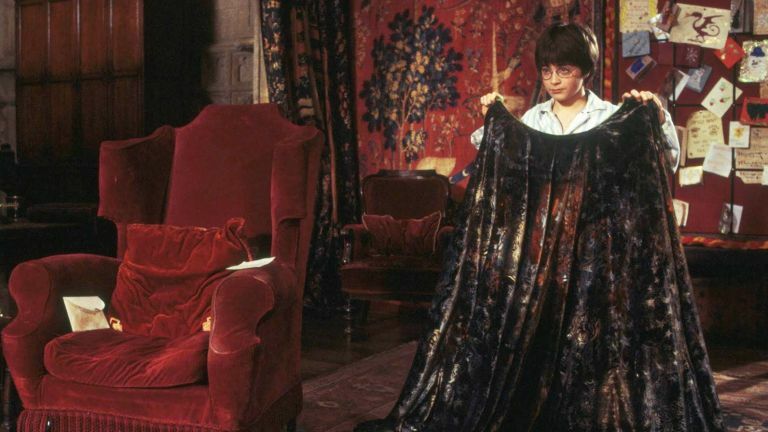 The Muggle world is starting to catch up with Harry Potter and the gang, with scientists recently finding a way to create a real invisibility cloak. Engineers at the Lawrence Barkley National Laboratory have created a super thin cloak that can bend light around objects, rendering them invisible. The catch, however, is that it only works on a micro scale for now so any prank ideas you had can be put on hold. In tests the invisibility cloak used metamaterials to curve light around an object the size of a few biological cells. The difference between this cloak and previous attempts is that it can disguise any shaped object, and works in air. "This is the first time a 3D object of arbitrary shape has been cloaked from visible light," said Xiang Zhang, who worked on the device. "Our ultra-thin cloak now looks like a coat. It is easy to design and implement, and is potentially scalable for hiding macroscopic objects." That last part is what excites us. A full-blown invisibility cloak could have plenty of real-world applications aside from pranking, notably the military. Wearable tech is coming to the battlefield, would invisibility cloaks be a step too far? I mean, they've already got invisible tanks (well, sort of). Share your thoughts in the comments section or hit us up on Facebook.